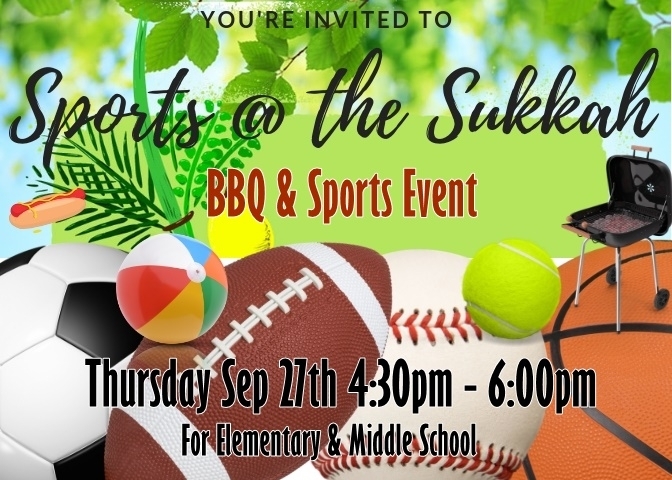 The Chabad Center of Sudbury invites all elementary and middle school ages kids to join us for a Sports @ the Sukkah Event. Featuring multiple sports games such as Basketball, Soccer and more, the kids will have a blast and then enjoy an awesome BBQ Dinner. A great way to enjoy a fun Sukkot celebration in a beautiful outdoor setting.